*full disclosure: a theatrical screening of this film was provided by Alliance Films. Writers: C. Robert Cargill and Scott Derrickson. Cast: Ethan Hawke, Vincent D'Onofrio, James Ransone, Michael Hall D'Addario, Clare Foley, Juliet Rylance, and Fred Dalton Thompson. There have only been a few films in this viewer's history that have been truly unsettling. The Exorcist (1973) and Event Horizon (1997) are two of only a handful of films that have left a horrifying mark on this person's psyche. Scott Derrickson's (The Exorcism of Emily Rose) Sinister is now added to this list. Christopher Young's score does much of the unhinging. A character named Bagul or the simpler Mr. Boogie (Nicholas King) does the rest. From dark backgrounds to footsteps heard in the attic, the viewer just will not know when the next murder or appearance of Boogie will take place. 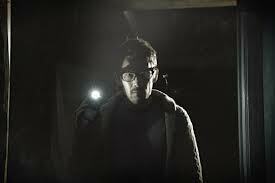 Sinister bravely finds itself in the found footage style of filmmaking, but there is something exciting here and even comedic, at times. The story is clever. Based in the occult, a mythical figure terrifies families with Satanic looking images and poorly shot home videos. Bagul has a plan. He shows himself indirectly to his target through 8mm reels before he moves in for the kill. Except, this villain makes children do his dirty work. And, this is truly a bloody enterprise. Characters, beginning in the '60s, are drugged, tied to a chair and then drowned. Or, they are hung from a tree by hangman's rope. Those truly unlucky are mowed over while bound. All of these macabre (or most of) are shown to the viewer and to true crime writer Ellison Oswald (Ethan Hawke). Ellison is trying to write a true crime hit. He has chosen to move into a house, where the previous family, supposedly, committed suicide by hanging. Oswald digs deeper with the help of a local deputy (James Ransone) to discover that this apparent mass suicide is actually part of greater murder spree. 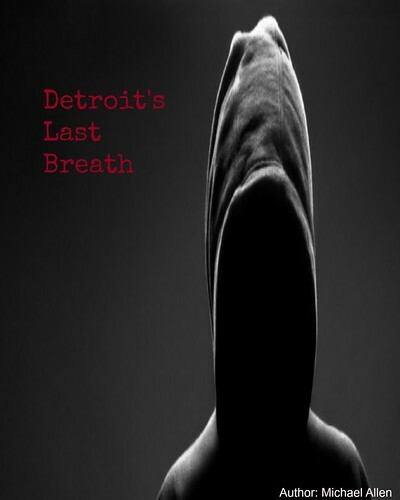 The killer is said to be over seventy, so a supernatural element begins to emerge. The ghostly connection seems always present in this film, while Young's score keeps the tension up. Derrickson is an experienced horror director; he knows a few tricks. Much of the film is shot during the night with very little lighting. Actor Hawke as Ellison is also often prowling the darkened hallways of his new abode. Footsteps echo here and shapes begin to materialize in the darkness. This viewer's peripheral vision began to see strange things in the theatre's darkness, which is a testament to the film's ability to create thrills. The tone of this piece is dark and the soundtrack promises more tragedy at every shadowy turn. Sinister is an exciting film. Thankfully, the filmmakers add a few light moments as well, to break the tension. Deputy So-and-So (named by Ellison) acts as the comedic relief. His stories of chipmunks and scorpions with feet are some of the lighter moments in the film. Ever pragmatic, this deputy keeps the film grounded as Ellison becomes undone. He scoffs at Ellison for moving into the "suicide house" and rightfully so. This character created for a few much needed chuckles. From lighting to camerwork, the filmmakers on this production set out to make a terrifying film and they accomplished this goal. There is enough backstory involving previous murder to keep events interesting and developing. The music incorporates sounds that should never be put together to effectively keep the viewer uneasy. Night shoots and darkened backgrounds mean that the ghoul can step out at any moment. Later in the film, Bagul does become real, but ever so briefly. Comedic elements act as catharsis, giving the audience a chance to release some of the terror in a fun way. This is a compelling title through and through. Sinister is a thrilling film for horror fans. 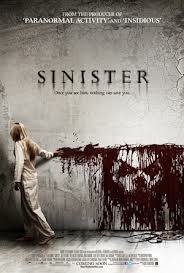 To release in theatres October 12th, Sinister should be seen by a wide audience. This is a found footage styled film, which is popular right now. Thankfully, this is one of only a few titles that is successful in this genre. Sinister is a film that has to be seen on the big screen in order to fully experience Derrickson's dark vision. Overall: 7.25 out of 10 (unique writing, based in the occult, grisly images, excellent acting, weak ending, predictable denouement).